Now, for me, this story was a bit too much on the violent side. I would describe it as an intense episode of Law & Order SVU, and I never made it through much of that show either. This isn’t to say the story is bad, it just isn’t my cup of tea. The novel can be a bit intense and some of the scenes are graphic, so if you aren’t into that sort of thing, “Big Bad Killing Machine” isn’t for you. In fact, when I first flipped through the pages, the first thing I read was a scene where a young girl is abused with a tree branch, so you can imagine my first impression. The book can be very triggering for this reason alone, so please be aware of that before reading, if you choose to do so. However, I really appreciated the focus on mental illness and the stigma surrounding it. Many people are misdiagnosed, not taken seriously, feared, teased, or ridiculed. The book is fast-paced at only 147 pages, so it’s a quick read. 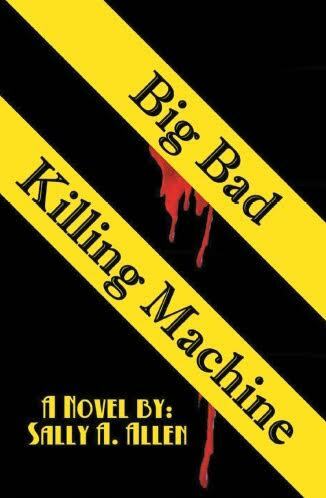 If it’s something you’d like to check out, buy Big Bad Killing Machine by Sally A. Allen on Amazon for the low price of around $10.